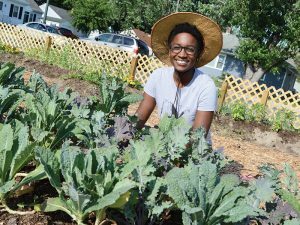 Aleya Fraser is a modern age female farmer who has a vision for helping others learn about how vegetables grow in one of the Eastern Shore’s first community youth gardens in Easton. Four years ago, Aleya, who once had a healthcare career working at Johns Hopkins Hospital, reassessed her life and decided she wanted to use her science background to farm, as her ancestors had in the Midwest and in Trinidad. Aleya Fraser is the Coordinator of the Jowite Community and Youth Garden in Easton, one of the Eastern Shore’s first community youth gardens. She knew that through community engagement, she could also teach lessons about how good food provides nutrition for the body, connecting to her own passion for healthy living. Her journey began with a farming internship in Baltimore County, which evolved into operating a community garden in Baltimore City, before eventually moving to the Eastern Shore to lease three acres of land on the Harriet Tubman Byway in Caroline County. At a small-scale diversified agro-ecological farm based in Preston, Black Dirt Farm, in addition to farming the land, Aleya and her farm partners brought other farmers to the farm to learn agroecology methods. She found she was using her brain to be as collaborative and far reaching as she could be. Earlier this year, Aleya was approached by Richard Marks and Amy Haines of the Dock Street Foundation to create and oversee the Jowite Community and Youth Garden on the site that will soon house the new BAAM (Building African American Minds) building on Jowite Street in Easton. Richard and Amy have a vision to help youth and other community members learn about food production and healthy eating, using a community garden as the classroom. Members of Chesapeake MRC Girl Scout Outreach Troop help with the Jowite Community and Youth Garden as part of their work toward the Girl Scout Bronze Badge. 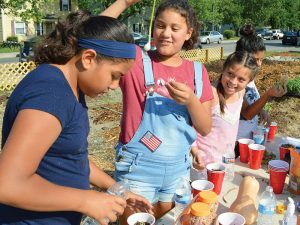 So far, the community garden has attracted a Girl Scout Troop from the Chesapeake Multicultural Resource Center (MRC), boys from BAAM and participants from Talbot Mentors, but the space is open to anyone in the community who wants to get involved. Trained adult volunteers are imparting knowledge to the youth, creating a multigenerational component to the garden. Aleya has enjoyed having the Girl Scouts and their mothers participating, sharing their knowledge with her. 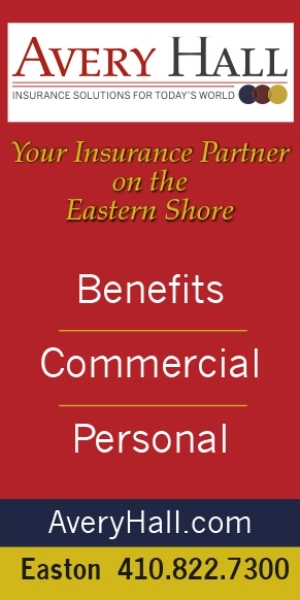 As with all of the groups that are involved, she is connecting community members to where food comes from and information about making better food choices. The produce harvested at the garden will be shared in the community. Chesapeake MRC will harvest their vegetables to provide local food pantries and for their own families’ needs. The garden will also have a farm stand for selling produce to residents in the Port Street area. This will be a project run by youth leaders in the garden, with youth being paid for their work and with the proceeds being used to buy seedlings and supplies for future gardening there. School, church, scouts and community youth groups are encouraged to participate for community service hours. Community garden volunteer days are every Wednesday from 4 to 7 p.m. The garden is currently in need of a few items, including picnic tables, seeds and seedlings, time and energy, trellising equipment for tomatoes, squash or cucumbers and large pieces of bamboo (2+ inch diameter), as well as materials for a compost bin, including corrugated fiberglass, 2×4’s, 1 x 6’s, and a trailer wagon for a farm stand. 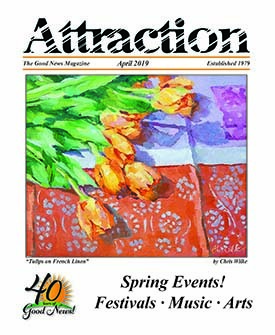 People interested in starting their own garden, volunteering for the community, or donating items should contact Aleya Fraser at 410-989-3536 or at aleyafraser@gmail.com. 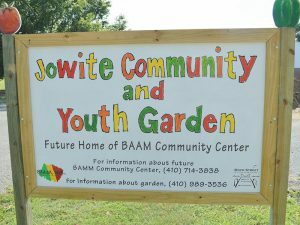 The Jowite Community and Youth Garden is located in Easton at the corner of Jowite Street and Glenwood Avenue.